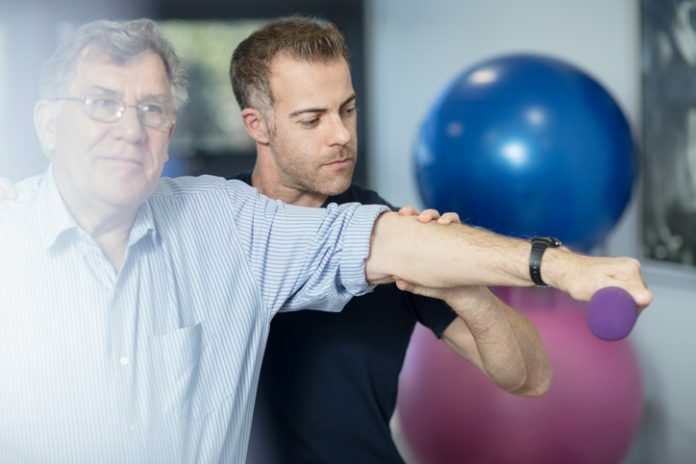 Studies by researchers in Sweden suggest that one of the reasons our muscles lose strength and function as we age may be because the stem cells that build and regenerate muscle tissue accumulate huge numbers of gene mutations. The Karolinska Institutet team, headed by Maria Eriksson, Ph.D., a professor in the department of biosciences and nutrition, used whole-genome sequencing to map gene mutations in clones of individual cultured human skeletal muscle (SkM) stem cells isolated from biopsies taken from healthy people of different ages. The results showed that the stem cells from older individuals had amassed mutations that would affect the function of resulting muscle. “What is most surprising is the high number of mutations,” Prof. Eriksson states. “We have seen how a healthy 70-year-old has accumulated more than 1,000 mutations in each stem cell in the muscle, and that these mutations are not random, but there are certain regions that are better protected.” The researchers suggest that their findings could feasibly help to identify new approaches to preserving muscle function in older people. These might include drugs that improve the stem cells’ capacity to repair their DNA, but potentially also exercise programs that might help people retain muscle function and strength as they age. Satellite cells (SCs) are a population of resident stem and progenitor cells in muscle tissue that play a key role in regenerating and remodeling muscle in response to stimuli such as exercise or injury, the researchers explain. As we age, however, the numbers and proliferative capacity of cells in the SC population dwindles. “As a consequence, a dysfunctional SC compartment is envisaged as a major contributor to age-related defects, including reduced capacity to respond to hypertrophic stimuli such as exercise and impaired recovery from muscle disuse and injury,” they write. The team investigated whether genetic changes that accumulate in SCs over time might play a role in the decline in SC function, and so the production of new muscle fibers and their function. The researchers used whole-genome sequencing to map mutations in clones of individual SCs (SCCs) isolated from biopsies of the leg muscles of both young and old individuals (aged 21–78 years). Their analyses identified an accumulation rate of 13 somatic mutations per genome per year, which effectively resulted in a two- to three-fold higher mutational load in active genes and promoters in the aged SCs. Mutations didn’t occur at random, however. “SkM-expressed genes are protected from mutations, but aging results in increases in mutations in exons and promoters, targeting genes involved in SC activity and muscle function,” the team writes.